Honda Motorcycle and Scooter India (HMSI) is all set to launch its lowest displacement 'Neo Sports Cafe' offering in India on 8th February 2019. Just a few days back, HMSI had started taking bookings for the upcoming CB300R for an amount of ₹ 5,000. Now though, the Japanese marque is preparing for the bike's official launch here on 8th February. 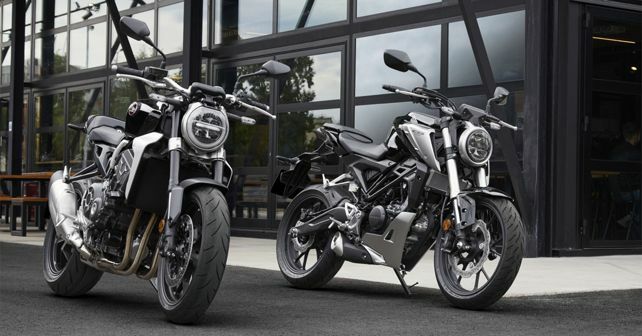 Well, there's no doubt that 200cc-500cc motorcycle segment in India is growing at an unprecedented rate and therefore, the CB300R could open up new avenues for HMSI in India, with respect to future models. If priced right, the bike might just even become the volume driver for the company as well. As told to us by the company, the CB300R will be coming to India via the CKD route. Thus, Honda is mulling to keep the pricing really tight and has gone on to say that it will bear a price tag south of the ₹ 2.5 lakh mark. Other than that, we will have to wait for the official launch to get the specifics of the India-spec model. As far as styling is concerned, this 'Neo Sports Cafe' offering from Honda takes its styling cues from the 2019 CB1000R and offers retro styling, courtesy of a round LED headlamp with a brush-metal rim. The 41mm upside-down forks and a flat aluminium handlebar make it look purpose-built. At the heart, the CB300R gets a 286cc single-cylinder, liquid-cooled DOHC motor. While we await confirmation on the bike's performance and power figures for India, the UK-spec version puts out a healthy 31.4bhp and 27.5Nm of torque. The motor is mated to a 6-speed gearbox and the overall weight figure is pegged at 143kg. With the launch just a few days away, the Honda CB300R will go up against motorcycles like the KTM 390 Duke and the BMW G 310 R.